Please let us know which property you are interested in. We will get back to you latest in 3 days time. 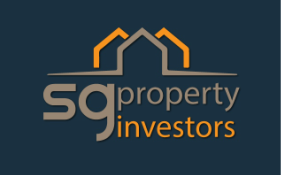 By leaving your contact details in this website, you consent to receive SMS, phone calls and/or email messages relating to properties for sale or rent, notwithstanding that the contact details provided has been or will be registered under the Do-Not-Call Registry pursuant to the Personal Data Protection Act. The information you have provided will solely be used for responding to your enquires or sending property related marketing information to you. We will not disclose the details you have provided to any 3rd parties.